At this free workshop at the Chania Chamber of Commerce and Industry on October 15, Magiatis and Melliou discussed the European regulation about claims on olive oil’s health benefits and the influence of the olive variety, harvest time, and production process on the levels of phenols and their stability and lifespan in olive oil. Having studied olive oil from a pharmaceutical perspective for 15 years, Magiatis and Melliou will offer similar workshops this coming weekend in Sitia, Crete (5:30 p.m. October 22 at the TEI), and later in Ilia, western Peloponnese, and in Italy; one was already held in Arkadia, central Peloponnese. Raising the question of whether olive oil is a food, a medicine, or both, the researchers shared findings from numerous scientific studies which suggest that oleocanthal, one of the phenols found in oil from certain varieties of olives, is an anti-inflammatory and anti-microbial agent that may help prevent or treat such illnesses as Alzheimer’s, osteoarthritis, cardiovascular disease, and cancer. Another phenol found in olive oil, oleacein, is an anti-oxidant that could help the fight against heart failure, hypertension, and oxidative stress. That same year, Melliou, Magiatis and associates developed a “new method for direct measurement of the oleocanthal and oleacein levels in olive oil by quantitative (1)H NMR,” or Nuclear Magnetic Resonance, analysis, according to the abstract of the article published in the Journal of Agricultural and Food Chemistry. 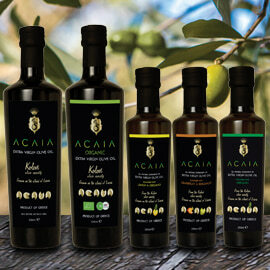 Magiatis explained that that was the Greek answer to the problem of measuring exactly what’s in olive oil. 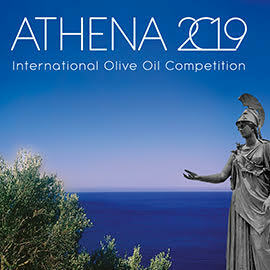 As Melliou told the Greek producers gathered in Chania, measurements of olive oils from various countries showed that there is a very wide range of oleocanthal content in different EVOOs, from 0 to 402 mg/kg oleocanthal in a 2013 UC Davis study of 110 extra virgin olive oils found in California supermarkets, and up to 966 mg/kg at the Olympia Awards in Ancient Olympia this year! Why should olive oil producers aim for such healthy EVOOs? Magiatis pointed out that people concerned about their health are often willing to pay more for healthier products, especially when scientific studies back up health claims, as so many cited in the workshop (and linked above) do. 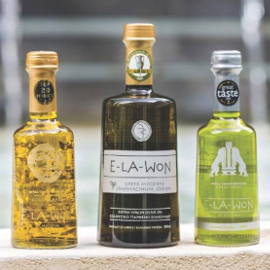 Magiatis reported that some Greek producers have been offered 10 to 30 times higher prices for their extra healthy EVOOs—an important consideration when other Greek olive farmers struggle to make ends meet in spite of all their hard work. How can olive oil producers create super-healthy EVOOs? Many factors make a difference, including the olive variety, the harvest time, and milling procedures. Magiatis explained that some olive varieties simply produce higher phenolic EVOOs than others, with Koroneiki one of the best—good news for many Greek farmers. However, an early harvest of green olives around the end of October will lead to olive oil much richer in oleocanthal and oleacein than a harvest of fully ripe olives as late as January, which is likely to offer far fewer health benefits. Magiatis discussed experiments with Koroneiki olives in an olive mill in Laconia, Peloponnese that used different malaxation (churning) times and temperatures to achieve different levels of oleocanthal and oleacein, concluding that a low temperature (less than 25 degrees C) and a short malaxation time (less than 30 minutes) do not seem conducive to high phenolic content—at least for Koroneiki olives. He encourages experimentation and testing in all of Greece’s 2000 olive mills to determine what time and temperature work best for each machine, olive variety, and harvest time. 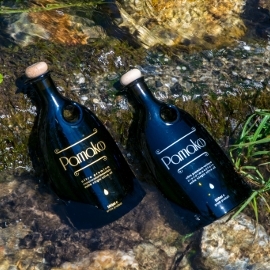 Of course, if producers are to invest their efforts and consumers their money in high phenolic olive oil, they need to be sure the benefits will be there when they need them. Cautioning that the exact percentage varies with the variety, Magiatis described an experiment that predicted that 40 to 75% of phenols remained in EVOO after 12 months at room temperature, with 54% the average after one year. 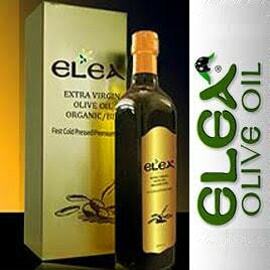 So it is wise to start with a considerably higher amount of phenols than one expects the consumer to enjoy. 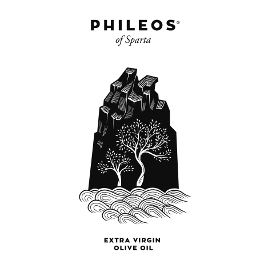 Prokopios Magiatis suggests that Italians have their own distinctive market share in the EVOO world, and the Greeks might now have a way to capture theirs: with high phenolic, extra healthy extra virgin olive oils.